New York State GIS Clearinghouse. LiDAR Data Disks-2017 LIDAR DATA IS NOW AVAILABLE!! 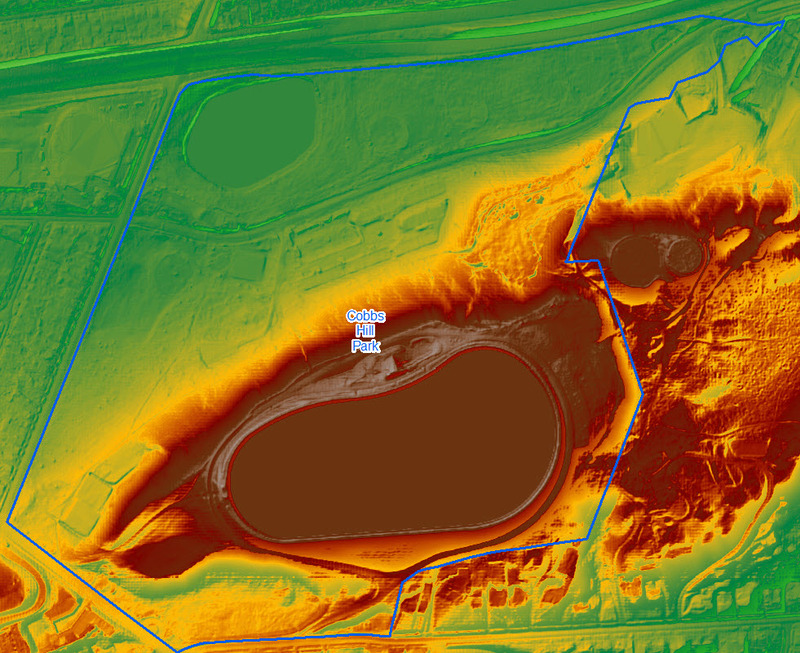 The GIS Division is now offering LiDAR data consisting of contour lines and digital elevation model rasters in ESRI Geodatabase format. This data format can be extracted into shapefiles or GeoTiffs and should be usable in most GIS and CAD programs. A sample for Cobbs Hill Park can be downloaded here. The data is available for the entire County, by town, on DVD. The price is $10 per town. Due to the nature of these data sets, we require all requests in writing. Please use the order form below to make your request and mail it in. THE DISK(S) OR MAP PRODUCT(S) WHICH YOU ARE ORDERING OR HAVE RECEIVED ARE SUBJECT TO THE FOLLOWING TERMS AND CONDITIONS. The data available on this disk(s) or map product(s), including all maps, tables, numbers, graphics, and text (hereinafter collectively referred to as the "information"), is provided on an "AS IS," "AS AVAILABLE" and "WITH ALL FAULTS" basis. Neither Monroe County nor any of its officials and employees make any warranty of any kind for this information, express or implied, including but not limited to any warranties of merchantability or fitness for a particular purpose, nor shall the distribution of this information constitute any warranty. The information on this disk(s) or map product(s) is collected from various sources and will change over time without notice. Monroe County and its officials and employees assume no responsibility or legal liability for the accuracy, completeness, reliability, timeliness, or usefulness of any information available on this disk(s) or map product(s) nor do they represent that the use of any information will not infringe privately owned rights. Information on the disk(s) or map product(s) is not intended to constitute advice nor is it to be used as a substitute for specific advice from a licensed professional. You should not act (or refrain from acting) based upon information in the disk(s) or map product(s) without independently verifying the information and, as necessary, obtaining professional advice regarding your particular facts and circumstances. References to any specific commercial product, process, service by trade name, trademark, or manufacturer do not constitute or imply endorsement, recommendation, or favoring by Monroe County and its officials and employees. Monroe County reasonably believes that making this information available for your inspection on this disk(s) or map product(s) is not an infringement or other violation of any intellectual property rights. To the extent copyright in said information is held by Monroe County, you are hereby permitted by Monroe County to copy, distribute, and otherwise use the information with one exception: no one is permitted to sell this information except in accordance with a written agreement with Monroe County. Provided, however, the information made available on this disk(s) or map product(s) contains material for which others may assert a copyright or other property interest, Monroe County and its officials and employees make no warranty or guarantee as to the ownership of any intellectual property or other property interest contained in the information. Furthermore, Monroe County expressly disclaims any responsibility to defend or indemnify you against claims which others may assert based on your copying, distribution, or other use of any of the information. The exclusive jurisdiction and venue for any dispute, action, or suit of any nature involving the disk(s) or map product(s) and its content, including, but not limited to, actions for injury to a person or property or infringement of intellectual property rights, shall reside in either the Federal District Court. New York and federal law, as applicable, shall apply to all such matters.